Model turned actress Sana Makbul with film credits Dikkulu Choodaku Ramayya, Rangoon and Mama o Chandamama. Started her career as a model, she went on to win pageant title Femina Miss Beautiful Smile in 2012. Her television credits include Iss Pyaar Ko Kya Naam Doon?, Aadat Se Majboor and Arjun. Sana Makbul was born on 13 June 1993, in Mumbai, Maharashtra, India. She has Telugu ancestry from her mother’s side. She attended National College in Mumbai. She hasn’t yet spilled a beans about her love life and dating history either. 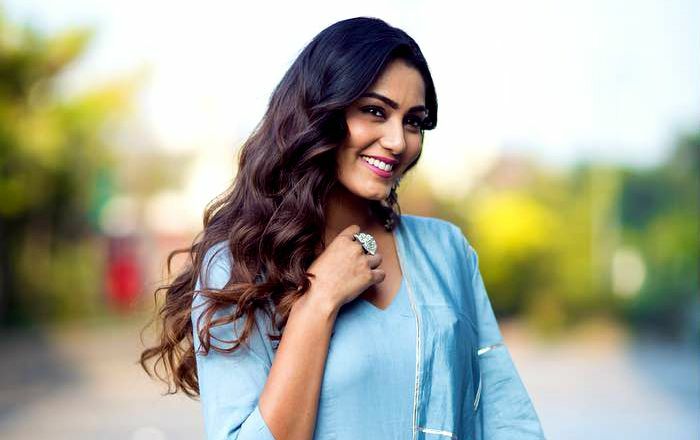 In 2014, Sana Makbul made her feature film debut in the Telugu film Dikkulu Choodaku Ramayya, in which she played the role of Samhitha, an aerobics trainer. She made her Tamil debut in the 2017 film Rangoon for her role as Natasha, starring opposite Gautham Karthik. In 2009, she appeared on the reality show, MTV Scooty Teen Diva. She starred in the TV soap Ishaan: Sapno Ko Awaaz De as Sara in 2010. She has appeared in numerous TV commercials and print ads. She appeared in the teen musical series Ishaan: Sapno Ko Awaaz De. Sana participated in Femina Miss India and won the title Femina Miss Beautiful Smile in 2012. She has acted in Tamil and Telugu films.